The vertical Qi-powered charger will retail for $79. Google is going all-in with its new Pixel phones, including the release of a new wireless upright Qi charger called the Pixel Stand. The $79 charger was announced Tuesday during the Made by Google annual showcase in New York City, and it's available for pre-order right now to ship by the Pixel 3 phone's debut on October 18. The dock is said to support lightning-fast charing for any Qi-compatible device and is powered by USB-C. 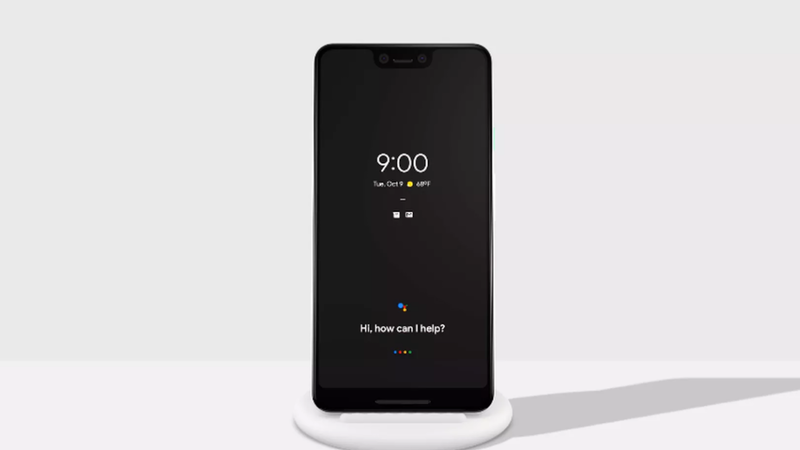 It will automatically change up your Pixel phone's UI and turn on Do Not Disturb mode when you dock it at night, but will also act as your Google Assistant while docked, even as it charges, so it can still provide weather, calendar, traffic, and other information when you're talking to it from across the room. It also includes a special alarm meant to produce the same effect as natural sunlight. The Pixel Stand is meant to have users take their phone and treat it just like they would their normal Google Assistant-powered devices, and it looks like a viable option for anyone looking to enhance their Pixel experience. It remains to be seen how well this will work, of course, but it certainly seems like a promising option for anyone looking for fast, wireless charging and another way to utilize their Pixel device. Fueled by horror, rainbow-sugar-pixel-rushes, and video games, Brittany is a Senior Editor at Shacknews who thrives on surrealism and ultraviolence. Follow her on Twitter @MolotovCupcake and check out her portfolio for more. Like a fabulous shooter once said, get psyched!